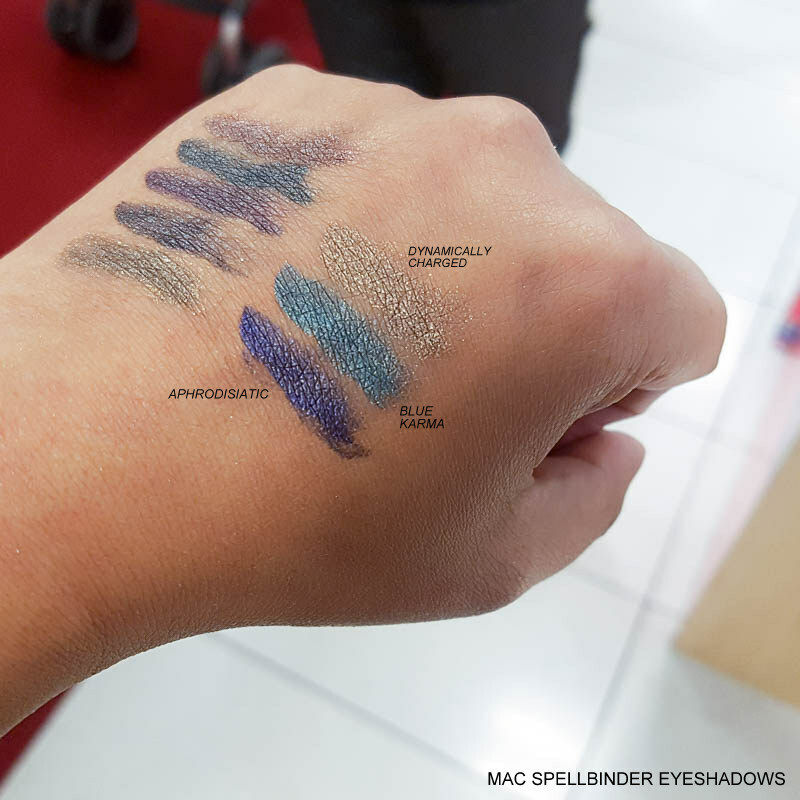 I just cannot get over how these eyeshadows look - like fuzzy velvet - but feel just like pigments (or smooth shimmery eyeshadows) when touched. The colors are quite pigmented and show up quite vibrant on my medium-dark skintone. I do think these eyeshadows are meant to be patted on for true color payoff. Blending would just make them look like sheer washes of shimmer. 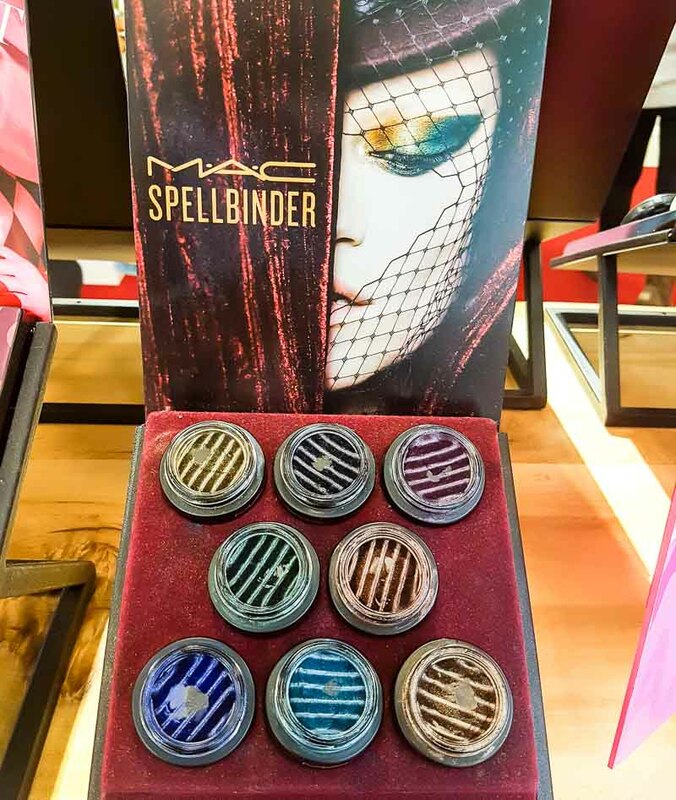 Overall, I really liked the colors and the design of these eyeshadows. In terms of how much product you actually get in each bulky pot, and since the effect seems similar to a good quality pigmented metallic eyeshadow, I do think they are a bit expensive. 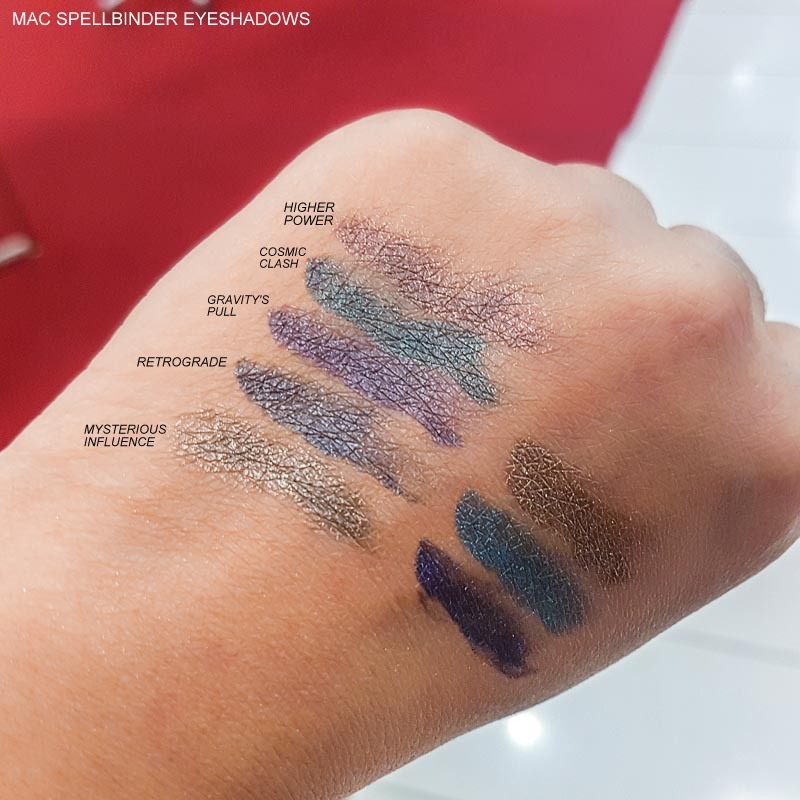 Still, they do look nice, and if you are someone who prefers buying smaller quantities and/or only a color or two, these MAC Spellbinder eyeshadows might be a good pick.